Whether you have your own coaching centre or you are an entrepreneur with your own office, projectors are one of the most important devices that you need to give a proper presentation. ViewSonic has always been one of the most popular names in the market. And it has offered the customers with a plethora of extraordinary projectors over the years. 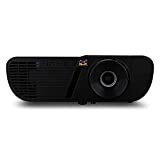 However, it becomes too hard for you to choose the best ViewSonic projector for yourself since the company has launched so several ones over the years. 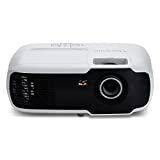 That’s why; we have decided to make the job easy for you by preparing a list of top 10 ViewSonic projectors in 2019. Known for its user-friendly design and high-resolution quality, the ViewSonic PA503S 3600 Lumens is undoubtedly one of the best buying choices you can make. It comes with the highly efficient SuperColour technology that offers a wide array of vibrant colours to the images. The project has a special energy efficient Super Eco feature that reduces the power consumption greatly and increases the life of the lamp by 15,000 hours. 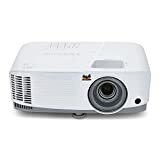 Plus, this ViewSonic projector offers a multitude of audio-visual features as well as connectivity options which make it an ideal choice for your requirements. The PA503W is another great product from ViewSonic. Having a resolution of 1280×800 and 3600 lumens, the projector makes sure that you get the best picture quality. It is also equipped with SuperColor Technology which gives the images and clips a life-like projection. Plus, this projector comes with several connectivity options ranging from HDMI to VGA input as well as output. It also comes with SuperEco feature which assures you to reduce the consumption of electricity by almost 70 percent. 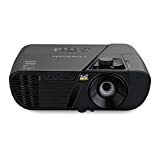 If you are looking for an extraordinary audio-visual projection, then the ViewSonic PJD7828HDL 3200 Lumens 1080p HDMI Home Theater Projector is an incredible choice for you. 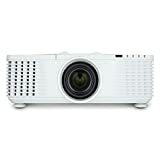 The projector comes with 3200 lumens and offers a 1920×1080 full HD resolution. It boasts a user-friendly design and a magnificent white chassis that enhances its outlook greatly. This ViewSonic projector is also equipped with the SuperColor technology that produces best quality image projection under any circumstances. However, the best thing about the projector is perhaps the proprietary SonicExpert technology that powers a 10W speaker to provide you with best audio quality. ViewSonic PA502S projector has gained much popularity amongst the customers for the incredible features it offers. The projector offers 3500 lumens and 800×600 SVGA resolution. The best thing about the projector is that it utilizes a proprietary feature called the SuperColor technology which helps the projector to project vibrant images in any sort of environment. Plus, it also offers the SuperEco feature to reduce the electricity consumption and a plethora of connectivity options for your ease of usage. Offering a full HD resolution of 1920×1080 pixels and brightness of 5000 lumens, the ViewSonic PG800HD is one of the recommendable HD projectors available on the market today. With a centered lens, 1.3x optical Zoom and vertical shifting of the lens, this projector is ideal for large venues, conference halls and big classrooms. The projector features a stylish top for providing easy access to the quick lamp along with several other accessories. Furthermore, it comes with a smart PortAll compartment for accessing additional accessories. Apart from providing a high-quality display, the projector also assures you about the audio quality by using the SonicExpert technology. Thus, this projector offers you with utmost assurance of high audio-visual quality. Sitting at the fifth position, the ViewSonic PJD5353LS 3200 Lumens XGA HDMI Short Throw Projector is really incredible. Delivering 1024×768 resolution along with 3200 lumens brightness, this projector proves over and over to be a worthy choice. With the help of ViewSonic’s proprietary SuperColor and SonicExpert technology, it promises to provide lifelike projection along with best quality sound experience. Apart from several connectivity options, the projector also makes use of SuperEco feature to reduce almost 70 percent consumption of electricity and increases the life expectancy of the bulb by 10,000 hours approximately. One of the most advanced projectors in the market today, the ViewSonic PRO8530HDL Projector offers a 1080p full HD resolution apart from a brightness of 5200 lumens. Thus, you can be completely assured of the image quality of the projector. It also makes use of HV keystoning, vertical shifting of the lens, 1.6x optical zoom and centre lens to enhance your experience greatly. This ViewSonic projector also features PortAll compartment to provide you with a flexibility of usage. Moreover, the cable management hood that the projector comes with hides the cables efficiently. Above all, four HDMI ports along with additional audio and video ports make it easy to connect the projector to your laptop or PC. 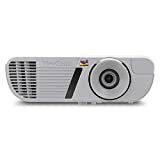 An excellent HD projector designed for home theatres, the ViewSonic PJD7720HD offers a screen resolution of 1920×1080p along with a brightness of 3200 lumens. The projector makes use of DarkChip3 technology which further enhances your projection experience. With the help of SuperColor technology, this projector offers true-to-life image projection. And the SonicExpert technology helps it to power a 10W speaker to deliver an extraordinary audio experience. Plus, the projector supports HDMI dongle as well as MHL connectors while the cable hood hides the unsightly cables with utmost efficiency. With an enticing accuracy of colour and prominent images, the ViewSonic PRO7827HD is undoubtedly a worthy choice. It offers 1080p full HD images and uses the advanced SuperColor RGBRGB technology to make the pictures as well as clips completely life-like. Plus, the projector comes with ISF certified day as well as night modes along with several other modes to provide complete cinematic experience. And the proprietary SonicExpert technology also makes sure that you get the perfect sound quality. The ViewSonic PRO9510L projector sits at the topmost position of our list for a reason. It is the best ViewSonic projector that you can buy in the market today. With 6200 highly advanced brightness, the projector offers an ultra -quality projection which makes it perfect for big professional venues. It also uses the SuperColor technology which helps to bring the images and clips to life on the screen with alluring colours and crisp graphics. It also offers horizontal as well as vertical lens adjustment along with wide 1.7x optical zoom and a centered design for the lens to offer the best user experience. Well, this marks the end of our list of best ViewSonic projectors in 2019. Every projector that we have listed above is of top-notch quality. So, choose the one that meets your requirement and impress others with high-quality projection.